Beside the regular Dutch and European editions, Supply Chain Media also publishes several country specials. These specials are created for countries where supply chain management now is a hot topic. Why Germany? In the German speaking countries many companies publish about logistics, but none of those company has a strategic magazine about supply chain management, targeting directors and decision makers, yet. 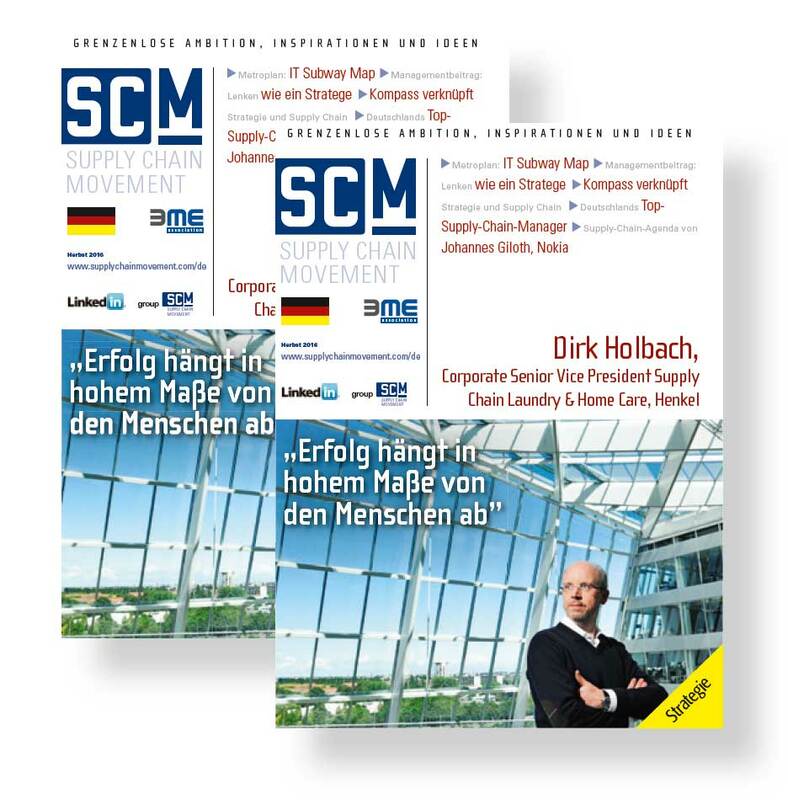 Supply Chain Movement Germany is Supply Chain Media’s newly launched German management publication, focusing on topics like: Supply Chain Software and Sales & Operations Planning. © 2019 Supply Chain Media All Rights Reserved.